What is the Cadillac CT6, and how is it different from the Cadillac CTS and the Cadillac XTS? Both excellent questions, especially given that all three carry base prices between $45,000 and $55,000, and one that even Cadillac president Johan de Nysschen can't answer. "Please don't ask me why we have three cars in the same segment," de Nysschen told industry trade journal Automotive News in 2015. The XTS is a full-size sedan based on an older, front-drive platform and is a favorite among Cadillac's older customers and livery companies. The CTS is a midsize sedan based on a newer, rear-drive platform, and is designed to compete with models such as the Audi A6, BMW 5 Series, and Mercedes-Benz E-Class. Originally, the Cadillac CT6 was conceived as a flagship sedan, but the company has elected to price it more competitively, in the process turning it into what is sometimes known as a "tweener," a model that straddles two different segments. Furthermore, the CT6 introduces Cadillac's new naming convention for its passenger cars: CT and a number designating the model's hierarchical position. For this review, our expert evaluated a CT6 Premium Luxury with Dark Adriatic Blue paint, 20-in. aluminum wheels, the Comfort package, Active Chassis package, and a Bose Panaray premium sound system. The price came to $72,960, including the $995 destination charge. Before we discuss the results of our evaluation of the new 2016 Cadillac CT6, it is helpful to understand the reasons that people buy Large Premium Cars, such as this one. According to J.D. Power research data, 63% of Large Premium Car owners identify themselves as performance buyers, and 96% say they like a vehicle with responsive handling and powerful acceleration. Quality of workmanship is also important to these buyers, with 97% agreeing that it is a first consideration in choosing a vehicle, and 93% agreeing that reliability is also a first consideration. A lower percentage of buyers (78%) agree that they avoid vehicles with high maintenance costs, and just 25% agree that fuel economy is a first consideration. Owning a vehicle that stands out from the crowd is important to these buyers, with 87% of Large Premium Car buyers agreeing that this is a preference. Buying a car from a domestic company, however, is unimportant, with just 24% of buyers agreeing that this is a preference. Up close and personal, the Cadillac CT6 looks sensational. Though it clearly derives its design cues from the company's current themes, as expressed on the smaller ATS and CTS sedans, when stretched atop the CT6 model's larger dimensions they take on a stateliness other Cadillacs lack. Despite familiar looks, this is a distinctive automobile, and it turned heads everywhere I drove the car in the Los Angeles area. Cadillac stumbles a bit with the CT6's interior. Certain elements of switchgear appear to be culled from a parts bin that serves a variety of General Motors products, and oversights such as a lack of liners inside of the door panel map pockets further hint at cost cutting. Plus, the test car's driver's seat would shift slightly within its tracks when taking corners with zeal. Especially in this vehicle segment, it is better to spend extra money and charge a higher price than it is to save a few dollars here and there, especially where the savings are obvious to an owner. Aside from the fact that the test car did not offer a seat massage function, which is reserved for the Platinum trim level, the Cadillac CT6 proved extraordinarily comfortable. Equipped with the optional Comfort package, the test car's front-seat ventilation system was much appreciated during a Southern California heat wave that included a healthy dose of tropical humidity flowing north from Mexico. Under such sweaty conditions, the CT6 was a sanctuary. As a full-size sedan, the CT6 supplies impressive rear-seat space. The rear seats feature recline, massage, and ventilation functions on the Platinum trim, and in this version of the car a center console separates them. The test car included manual rear side window sunshades and a power rear window shade. In temperatures eclipsing 90 degrees, Cadillac's triple-zone climate control system had no trouble rapidly cooling the CT6's cabin. The controls are located rather low, and while they appear to be sensitive to touch they actually employ a thin black film over traditional buttons. The exceptions are the elegantly integrated rocker switches for temperature and fan speed. A quad-zone climate control system is standard for the CT6 Platinum. The latest version of the Cadillac User Experience, or CUE, is standard for the CT6, and is paired with multiple USB ports, wireless device charging, smartphone-projection technology, and OnStar subscription services including a Wi-Fi hotspot. Now measuring 10.2 inches in size, the CUE display is larger than what is used in other Cadillacs, helping to resolve certain usability and reference complaints I've made in the past. However, the screen, not to mention all of the piano black trim inside of this car, still collects fingerprints like the FBI. Furthermore, the controls continue to emphasize style and design over simplicity and ease of use. A new touchpad control with handwriting recognition allows the CT6 to match competitors with similar technology, but proves extraordinarily irritating to use as a screen navigational tool. The test car was equipped with the optional Bose Panaray sound system, which installs 34 speakers throughout the CT6. Audio quality is nothing short of astounding, the center dashboard speaker rising like the marquee of an Art Deco theater. Finally, Bose has a high-end audio system that can compete with the likes of Bang & Olufsen or Bowers & Wilkins. A rear-seat infotainment system is optional, equipping the car with dual 10-in. display screens and a Blu-Ray disc player. Additionally, the CT6 offers rear-seat USB and HDMI connections and a 3-prong electrical outlet. Storage spaces in the CT6 are discreet yet useful, from the glove box (opened using a button on the CUE screen) to the shallow tray beneath the rear-seat center armrest. Because there isn't a bin forward of the transmission shifter and cupholders, you might be tempted to stash smaller items in the front door panel pockets, where Cadillac's failure to provide fabric or rubber lining could cause them to slide, scrape, buzz, and rattle. Trunk space is on the smaller side of the large sedan scale, at 15.3 cu. ft. However, the trunk is shaped to take maximum advantage of the available space, allowing full-size suitcases to be stored on their sides. Thin windshield pillars and wide side mirrors make it easy to see out of the Cadillac CT6, and the car offers numerous driver-assistance technologies that improve both safety and visibility. 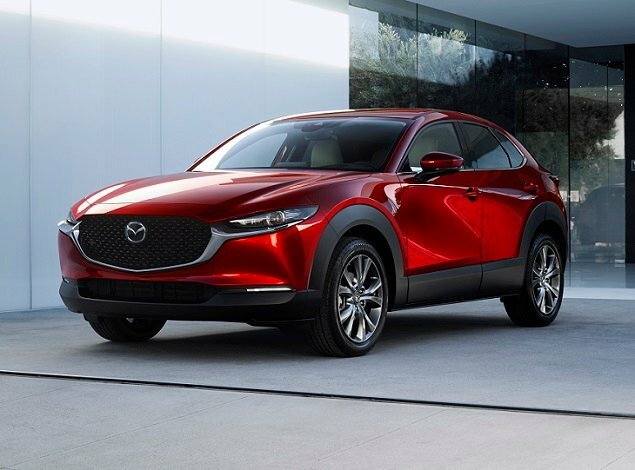 Upgrades include adaptive cruise control, a pedestrian detection system, blind-spot warning system, rear cross-traffic alert, a 360-degree surround-view camera, Enhanced Night Vision system, and more. Cadillac will also install something called a Rear Camera Mirror in the CT6. Using cameras mounted at the rear of the car, it projects a video image of what's behind the car, providing a wide-angle view unobstructed by rear headrests, rear roof pillars, or the trunk. In theory, this sounds great. In practice, it is best used selectively and mainly when reversing because it offers far greater resolution than does the lousy reversing camera display–unless it's dark outside, in which case both the camera mirror and the camera display provide little in the way of detail. Additionally, the problem with using it this way when you've also got the 360-degree surround camera is that it creates two points of reference when reversing instead of one. Used continuously, the camera mirror forces the driver's eyes to adjust focus with each check of traffic, and the display serves as a visual distraction while driving. It also supplies less detail about following vehicles, especially at night, and while the field of view is broad it is not particularly deep in terms of distance. Overall, the camera mirror is a good idea in theory but a lousy idea in reality. Three engines are offered in the Cadillac CT6: a turbocharged 4-cylinder, a V-6, and a twin-turbocharged V-6. 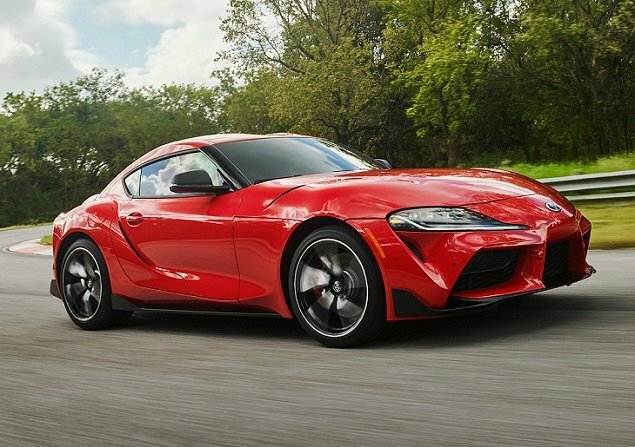 The test car had the 335-horsepower, 3.6-liter V-6 engine paired with an 8-speed automatic transmission and all-wheel drive (AWD). While this is a large car, it is also remarkably light in terms of weight. The base car weighs just 3,657 lbs., and with a V-6 and AWD the test car tipped the scales at 3,926 lbs. That means the 335-horsepower V-6 supplies robust, satisfying acceleration. Automatic engine start/stop technology aims to improve fuel economy but is not always refined in terms of its operation. 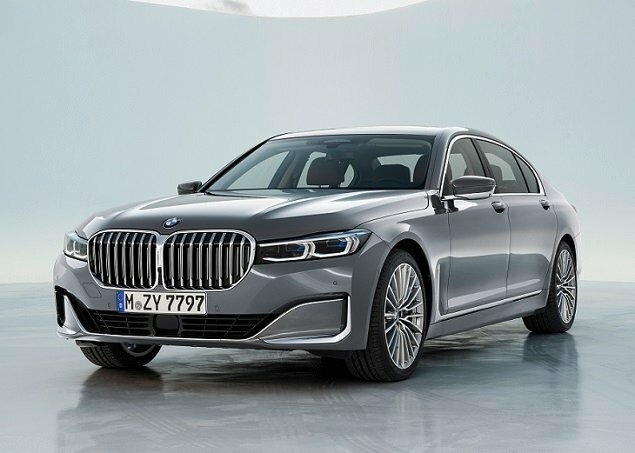 Likewise, the 8-speed automatic transmission usually behaves exactly as is expected but sometimes clunks and thunks too much for a flagship luxury sedan. The EPA says that my test car should have returned 21 mpg in combined driving. It returned 20.6 mpg, which is close enough to call the official estimates accurate. Like Cadillac's other sedans, the ATS and CTS, the new CT6 is enjoyable to drive. It feels light, lively, and athletic, and the Active Chassis package installs a continuously damping magnetic ride control suspension and 4-wheel steering, the latter feature making the CT6 more nimble and easier to park. Normal, Sport, and Snow/Ice driving modes adjust the car's response, but even in Normal mode the CT6 feels too taut and stiff. Choose Sport mode and the steering is excessively heavy while the suspension delivers an almost brittle ride quality. Cadillac would do well to calibrate a Comfort driving mode, one supplying gentle throttle tip-in, light and effortless steering, and the wafting ride that affluent passengers may prefer. Whipping the car up a canyon road, I dove into a tight right-hand corner and goosed the throttle, expecting the Cadillac's AWD system to torque-vector me around the curve and sling me into the next straightaway in the way of an Audi with Quattro. That didn't happen. Instead, the CT6 understeered, nose sliding too close to the double yellow line for comfort. It would seem that Cadillac has some dynamic fine-tuning to perform on the CT6. In spite of its dynamic limitations as a true sport sedan and how the car's tuning struggles to deliver the qualities of a true luxury sedan, the Cadillac CT6 is well worth consideration. From a styling perspective, Cadillac has crafted something special in the CT6. That's the perspective from an L.A.-based reviewer, anyway, where the freeways are awash in Audi, BMW, and Mercedes-Benz vehicles. Cadillacs are relatively rare, and they stand out for it. Plus, the CT6 looks dramatic and formidable without resorting to caricature. Inside, more attention to the details is necessary. Still, the CT6 supplies soothing comfort and one of the best high-end audio systems in the business, and that goes a long way toward making an owner fall in love with a luxury car. Finally, when kept in its Normal driving mode, and when driven within its limits, the CT6 is fun to drive. Sport mode is too harsh, though, and the car could really use a Comfort mode that provides a more traditional luxury car driving and riding experience. General Motors supplied the vehicle used for this 2016 Cadillac CT6 review.